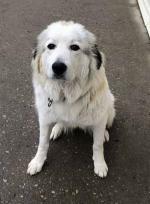 Pyrenees mix has ACL tears back legs asking non surgical suggestions to help him. 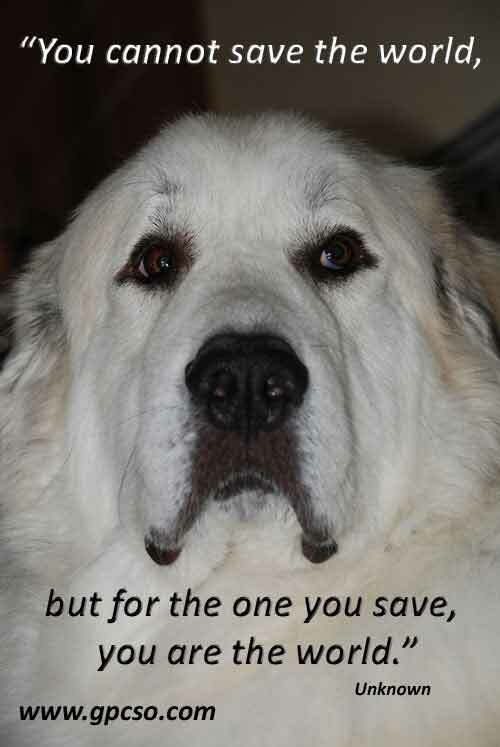 Milo my neutered Pyrenees mix has torn ACL both back legs. Seeking no surgery suggestions that could help him. Mostly nutrition and exercise to build up muscles to support the ligaments. 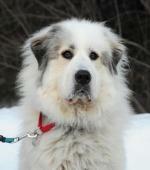 He is 18 months old and has a stupendous personality. I adopted him from a no kill rescue shelter 2 weeks ago. He is 93 pounds and the vet sez that considering his frame he is 15% overweight. He came to me already trained in obedience . He is gentle with everyone he has met so far. He follows me from room to room at heel. Thank you for any help. Jeanette ps I and my daughter are both disabled. Milo is especially gentle with my daughter. She is mentally challenged . So this is a part of why I like Milo so much. 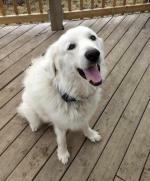 Comments for Pyrenees mix has ACL tears back legs asking non surgical suggestions to help him. It seems you first have to get some weight off of him but that's tough since he's torn both of his ACLs at the same time. Here are a couple of links to help you in your research. Someone else out there may have some suggestions, as well. Surgery is the last resort in my opinion. It's like having body work done on a car after a crash. The car will never the same, again. It's invasive surgery. Ideally, it's better to keep the dog leashed. Walk him enough to do his business and that's it. It means keeping him quiet 2-3 months. It's worked for dogs I know in the past. That said, both of his have gone at the same time. This is unusual I would think. He must already have some weakness in his hips. If you choose that route, you would have to get one done at a time. Keep him quiet for a some time but that will put big stress on the other hip until the one heals. Some more discussion with your vet needs to be done. 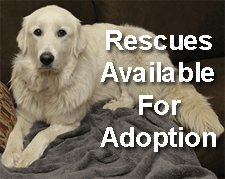 Vet says only 30 % or less chance of surgery success. So I'm scared . Vet says weight loss is 1 st thing to do. And lite exercise . Gentle. Milo is on the same exercise routine as my other dog his name is King. King is 11 years 1/2 Aussie cattle dog and 1/2 black lab. King has age related hips trouble. He gets rimydal. And lite homemade exercise routine. And omega 3 and co q 10. They both walk if good weather the short distance I can go, I'm disabled , so distance and speed is slow. That is perfect for both dogs. If bad weather circles and figures8 s in basement . Then up and down the stairs real slow. With chopped hard boiled egg as bribery reward . They don't know it's low cal. They like play ball and they don't move fast. All this I guess with a disabled moving slow human an a aged dog pack mate. 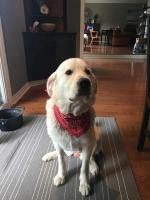 Milo maybe fell into a home where the situation is perfect for him. ACL can be done labrascopicly now even on dogs. No hardly as invasive as it use to be. Do not go to your local vet for this there are specialist out there. I am in jersey so I can't help with a vet for you on less nj is in you near future. Again good luck. There is no non-surgical repair of an ACL. Once it's torn, it's torn. 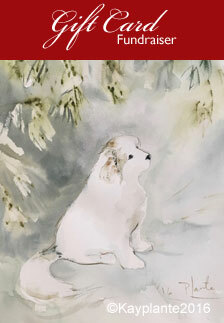 There are things like pain medication and weight loss that can help your dog be more comfortable but is non-curative. 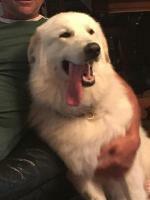 Have had Milo since May of 2016 this is dec ( 1/2 Pyrenees 1/2 St. Bernard with white lab thrown in ) he now weighs 70 pounds ( USA). He used to weigh 90. Vet is pleased with his progress . Vet feels his knees and says muscles are developing . To support knees better. Like I said he fell into the right pack. I'm disabled and king same from old age hips. Milo is so gentle . One of my cats was kicking up a noise with another cat. Milo put is front foot on the shoulders of the troublemaker and held him down. Then Milo hummed. King arrived and drove the other cat out of the room.then Milo let go of the cat he had been holding down. Then Milo and king sniffed each other's ears and it was all over.